54’ Colin Archer TUVA (ex NANGYALA). Built on Colin Archer Rescue Boat plans: Rescue boat to Russia 1902. 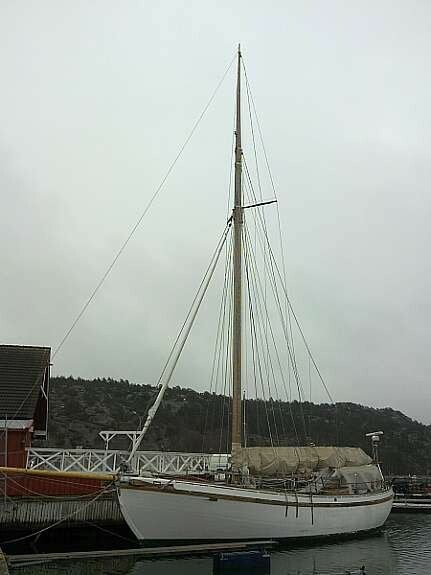 Built by Burø Boatyard, Titran, Frøya, outside Trondheim. Lod = 16.35 m (54’). 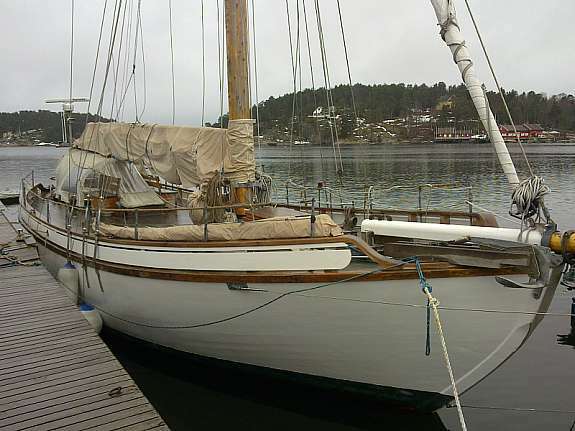 Beam 4.95 m. Draught 2.30 m.
Sail area ??? sqm with topsail. Engine: 6 cylinder Perkins 185 Hp. Feathering propeller. Ballast keel 12.0 tons iron. Internal ballast 5.0 tons lead. 2” pine planking on laminated pine frames spaced 50cm c-c.
All fastenings and bolts are galvanized steel. Laminated pine stem and sternpost. 2” ceiling with planks well spaced for good ventilation to prevent rot. Strong as the the original rescue boats, but lighter and thus a fast sailer and more easily handled. ideal for ice and tropical waters. Deck is Teak on plywood underdeck. Nice profiled planks underneath, painted white. 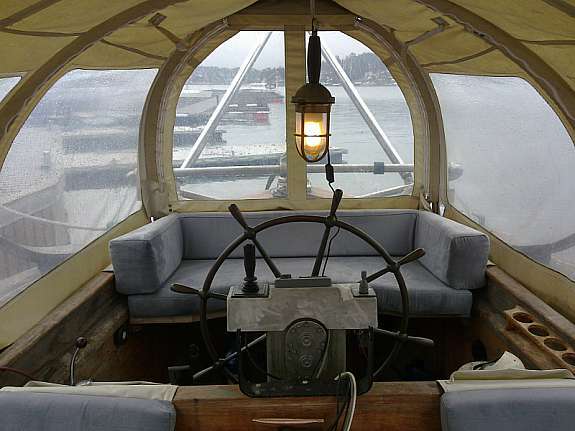 Steering cockpit aft. Winches for all sheets. 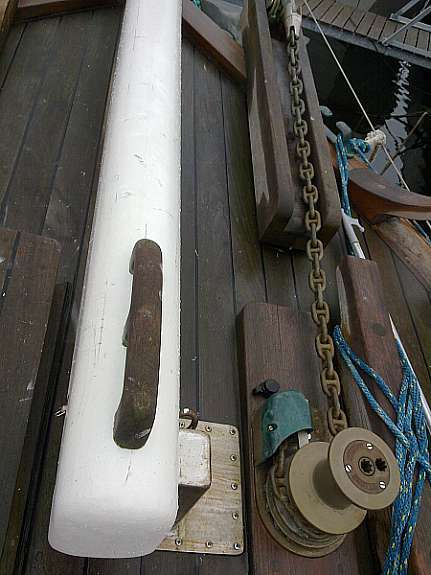 Electric winch for mainsheet. Hydraulic steering. 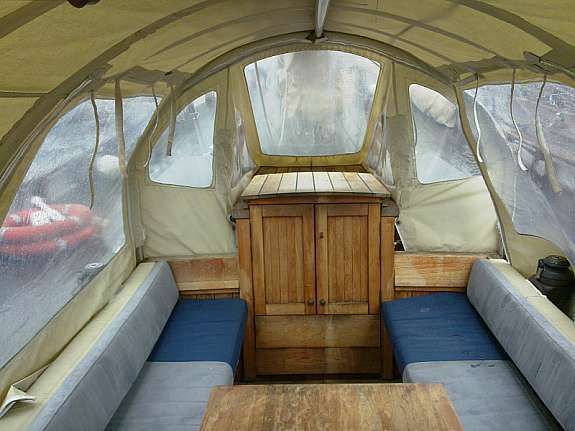 Comfortable sitting cockpit with table and sprayhood. 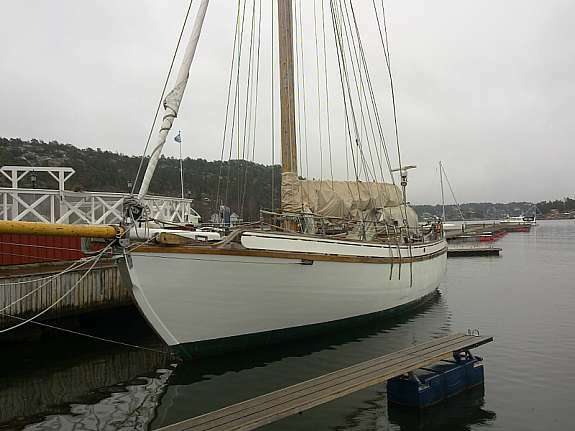 “Tuva” is cutter rigged and thus a fast boat. All rigging made new in 2005. Stainless fittings and wire. Main halyards are hoisted by two electrical wire winches. 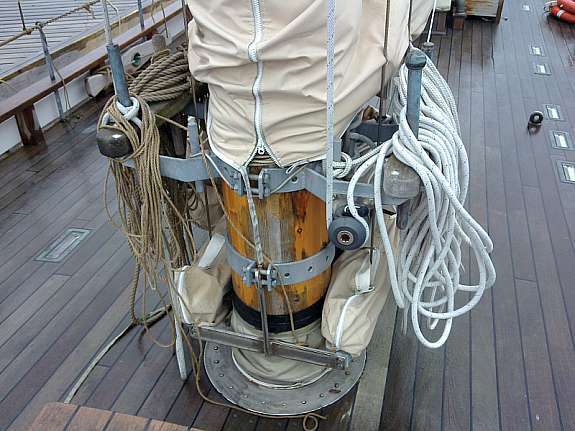 Other halyards have manual winches for tightening. 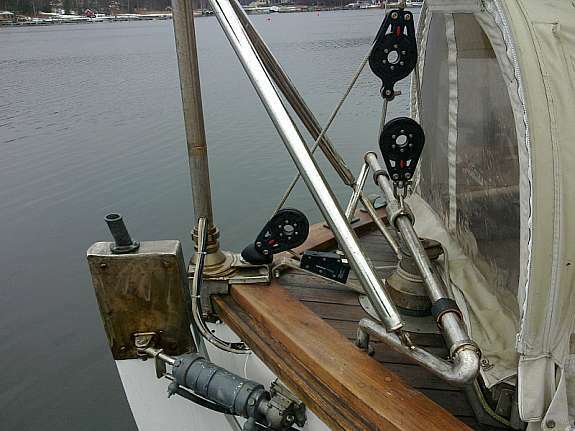 Winches for headsail sheets, and electric winch for mainsheet. 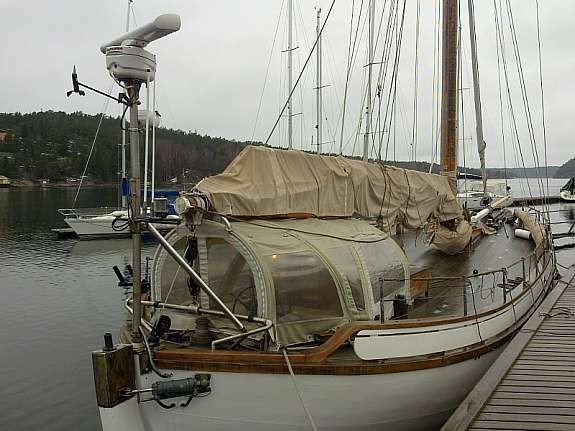 Bowsprit can easily be housed. With the tall polemast, topsail is hoisted without topsail spar. “Tuva” is thus easily handled by two persons. 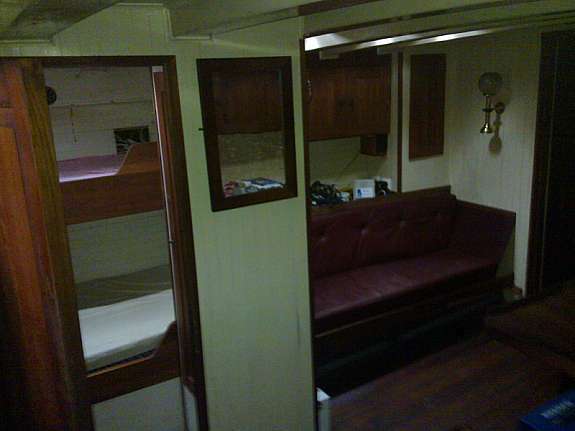 Cabin and setté on port side of main saloon. 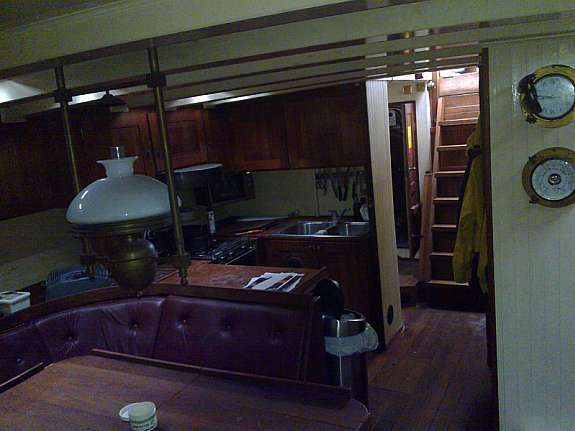 Aft in the salon is Galley on stb side. 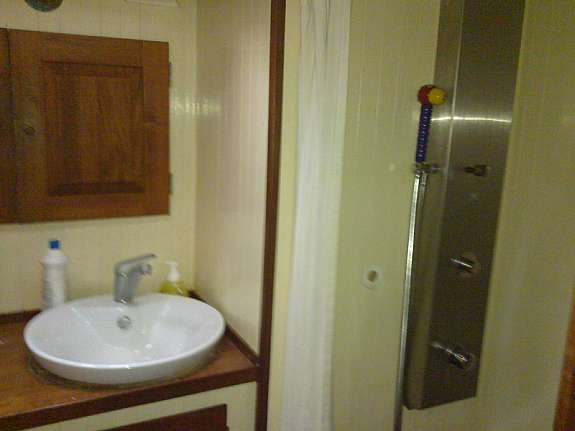 Toilet with shower aft. 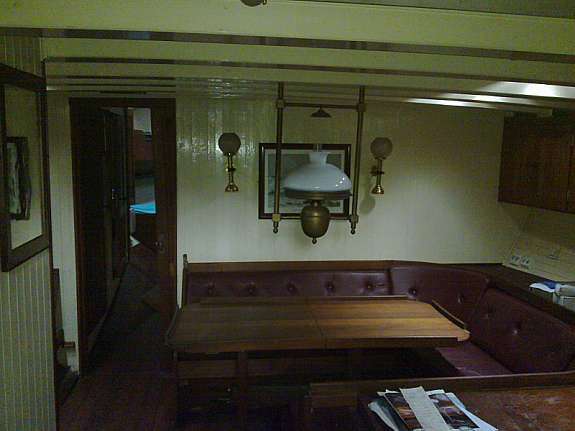 A second toilet forward of saloon. Electric bronze anchor windlass. 14 mm chain. Bruce anchor, 30 kgs. Spare ship anchor. TUVA is very well equipped. heater and electric ventilation, fridge, micro owen, gas cocker & owen. 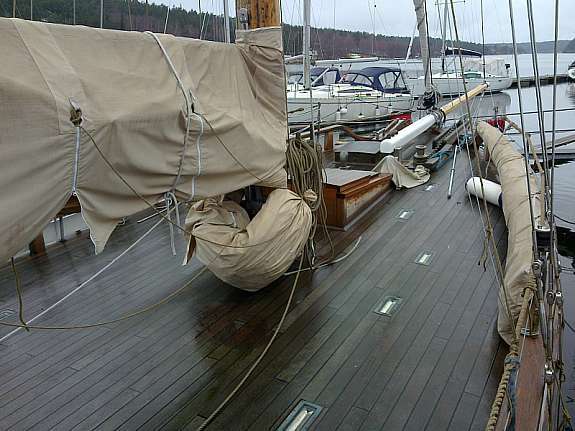 Covering board needs maintenance and repair, many shakes and rot in one place. cockpit cover needs replacement and jib needs repair.